Movemasters has been a trusted Denver moving company since 1981 and we remain unmatched in customer service, move times and customer reviews. Movemasters has been privately owned since its inception and under current management for the past 20 years. Many of our customers, interior design firms, and showrooms have been loyal customers just as long. 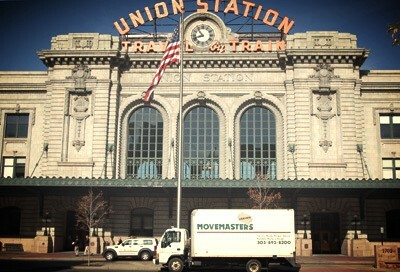 Movemasters has an unparalleled reputation among Denver movers. The Better Business Bureau has awarded our company an A+ rating and given us its Gold Star Award multiple times. The Gold Star Award signifies that a member company has not received any complaints in 3 consecutive years. We have received that award 10 times. We have been picked by Westword as a "Best of Denver" moving company enough times to be placed in their "Best of Denver Hall of Fame". Consumers have also given us hundreds of ratings for Denver movers on Angie's List, and Angie's List has given Movemasters it's Super Service Award each consecutive year from 2009-2016. Need to move a Rembrandt painting? We've actually done it. Need to move the contents of a 6,000 square foot house with no damage at reasonable rates? We're at our best in that scenario. Need to move a small apartment with just a couple of guys who will get the job done efficiently and on budget? That's how we got our start. Have an older parent who needs a company with employees who can show sensitivity and patience? Trust us. Need to have an antique Navajo rug rolled, wrapped, and stored in a clean and secure, temperature controlled storage facility? We're your Denver moving company.